Get into your awesome monster truck, crush obstacles and reach the finish line as fast as you can! 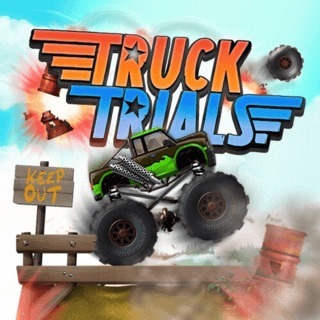 In this cool side-scrolling truck challenge it's all about your driving skills. Collect star bags and navigate your way through tricky terrain. Unlock new and better vehicles and be careful to not take too much damage - otherwise the game is over! Can you earn a top spot on the leader-board?